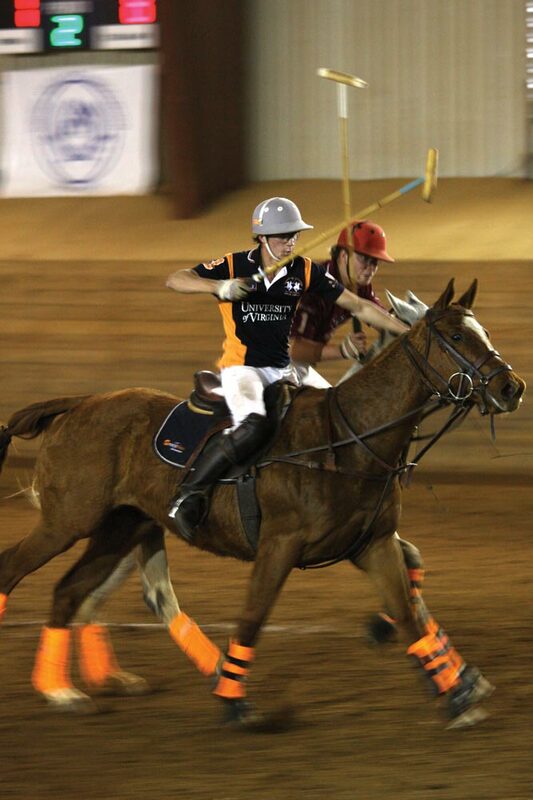 Half-horse, half-human: Polo at UVA from UVA Magazine on Vimeo. Polo originated thousands of years ago in Persia and was used to train the royal cavalry. Women played, too. The queen of Persia and her courtiers engaged King Khosrau II in a match back in the sixth century. The men’s polo team was undefeated this year and won the National Intercollegiate Tournament. “There was great chemistry among the teammates,” says Beh. In their final match against Texas A&M—which was also undefeated—Beh, C.B. Scherer (Engr ’12) and Mauricio Lopez (Col ’12) scored 20 goals to beat Texas by three. The women’s team was an underdog going into the nationals. One of their starters, Meg Greenhalgh (Col ’12), was hospitalized for an illness during the entire tournament and Emily Dameron played as a substitute. “In the second-to-last match, Emily made every single penalty shot, which is a difficult thing to do,” says Christina Fernandez (Col ’09), captain of the women’s team. In the final against No. 1 ranked Cornell, Fernandez led her team to victory, contributing nine goals to a final score of 19 to 17. Being national champions doesn’t mean UVA polo players are resting on their laurels. “I spend all my time at the polo center. We take care of the horses, we practice and we play,” says Fernandez. “The horses do a lot of the work on the field, but we do a lot of work for the horses.” UVA’s horses are donated by alumni and many of them are retired from the professional polo circuit.